2.6 Cheap Windows 10 Keys: Do They Work? 10 What Does a Windows Folder Icon With Double Blue Arrows Mean? 18.1 What’s The Difference Between Bluetooth A2DP And aptX? 60.5 How to access a BitLocker-encrypted drive in Linux? 61.1 How long can I use Windows 10 without activation? 61.10.1 How can Windows 10 Function With as Little as 32 GB of Disk Space? 72 What is the Equivalent of the (Linux) bin Directory in Windows? 103.1 Backups vs. Redundancy: What’s the Difference? For RK launcher, right click the separator to show the menu. From there, click Settings > Behavior tab. Enable the checkbox to start RK launcher with Windows. The version I am using is 0.4 beta. Find your Windows license key. ProduKey from NirSoft. What Is the AppData Folder in Windows? The full path to the hidden Libraries folder is below. Note that the Pictures folder in Libraries is not exactly the same as C:\Users\(User-Name)\My Pictures folder. Similarly, the Videos folder in Libraries may not be the same as C:\Users\(User-Name)\My Videos. In fact, each one of folder in Libraries contains more than 1 folder: one is 'My' one and the other is 'Public' one. For example, the Documents folder in Libraries contains My Documents and Public Documents subfolders. Testing on <install.sh> shell script. Goal is to use wget to download the file. Github: choose 'View Raw' to get the url for the file. The con is the url will be changed whenever the file is updated. Google Drive: cannot get the raw file, only the html version. What Does a Windows Folder Icon With Double Blue Arrows Mean? Administrator vs. Standard: Which User Account Should You Use in Windows? How Do You Reopen a Windows Firewall Prompt? Create a new shortcut to the program you want to add to the Send To menu. Open a command line prompt using administration. Then type powercfg /batteryreport. In my Windows 8 tablet, it will create a report in C:\Windows\system32\battery-report.html. What’s The Difference Between Bluetooth A2DP And aptX? You shall see the bluetooth device is checked now under the Control panel-> Sound box. Network -> Network and Sharing Center -> Change advanced sharing settings. What’s the Difference Between Private and Public Networks in Windows?/if you want your computer to be discoverable or not by other computers. Lots of screenshots are given there. Task manager -> Performance -> Open Resource Monitor -> Network. See a screenshot from the #3 from the bottom. The ebook device uses e-link. It is friendly to human's eyes. Although these ebook devices are usually small for easy to carry, reading pdf articles are not suitable. However if articles are available online as web pages, we can save these pages and read them on devices. For Kindle device, we can use bookmartlet from http://fivefilters.org/. After installing bookmarklet, we can click it and send any webpage to kindle device (we have to enter the Kindle email address and add [email protected] to the approved personal document email list from Amazon Account -> Manage Your Kindle. The saved file is in mobi format and it contains images too. However, pages contains tables may be lost (eg this page, but it may be the website's problem). Note that in order to read the article on my kindle device, I still need to go to http://www.amazon.com website -> Your Account -> Manage Your Kindle -> Click 'Actions' from the corresponding book -> Deliver to my Kindle (select one device). No extra charge over this method. See lifehacker's article. For Kobo device, one option is to use dotepub bookmarklet. However, it has a limit on the number of images in an article to save. In fact, the http://filvefilters.org bookmarklet has an option to output in epub format. It will download the epub file immediately. It works perfectly. To hide the 'sign in' export PDF right panel, click 'Tools' word on the menu bar. Calibre - when I test the pdf files from http://magazine.odroid.com/, the conversion does not recognize the 3-column mode. So the conversed article will mess up. k2pdfopt - an article from howtogeek.com. After several tries (command line & GUI), I did not find it particularly useful. The only one case that may be useful to convert an article from multiple-column to a single column. This will generate a new file called <xxx_k2opt.pdf> by converting an article with 3 columns. Note that the new pdf file will have very wide space on two sides. briss is available for Windows, Mac, Linux and it depends on Java. It works great when I use it to crop IRanges package vignette. How to make briss a system-side command. The source code is in Python 3. There is a binary code for Windows (32&64 bit) & Ubuntu 12.04 but not for 14.04. Reabble, help. Users should have a web-based content and RSS feed reader account on Inoreader. Very nice work. Free accounts got 15 reads per day using Reabble. WoeUSB also supports a command line operation. dd command and Etcher can write the iso file to a USB stick, but the stick cannot boot. UNetbootin cannot find the USB stick. WoeUSB works. Note: umount USB drive before hitting the 'Install' button. Launching Hiren's BootCD from USB Flash Drive. Uninstall Ubuntu in Windows dual boot environment. Create installation media for Windows 8.1 an instruction by Microsoft.com. Best solution: Install Linux Operating Systems on Separate Hard Drives. If we check the drive's partition table using gpart, we will see the drive has only a fat32 partition. Suppose a laptop can connect to the internt through wireless. We want to use its ethernet port to share internet on another device (e.g. raspberry pi where the device has only ethernet port). click 'sharing' tab and check 'Allow other network users to connect through this computer's internet connection'. For the home network connection, select 'Local Area Connection'. It has a plan of $11.99/year for unlimited storage for photos and 5GB for videos and files or $59.99/year for unlimited everything. My plan (free) is unlimited storage for photos from fire device and 5GB for photos, videos, and files. Files shown in amazon.com/clouddrive are not the same as amazon.com -> digital content -> manage your content and devices -> your content -> Docs. To enter the presentation: In the top right click 'Presentation' button. Or Menu > VIew > Presentation. From the current slide, the presentation will become full screen. To exit the presentaiton: Esc key. How can I find the short path of a Windows directory/file? Using batch parameters from Microsoft. Use the caret to break a long line. See microsoft.com for a complete list. Open Command Prompt window. You must run it with administrative privilege. Enter the following command. It will create an item (Run w/ Elevated Permissions) on right-click menu. Go to Control Panel classic view Ease Of Access. When I installed Windows 8.1 from an iso file, 9GB disk space was taken. What is Swapfile.sys and How Do You Delete It? http://h30434.www3.hp.com/t5/Windows-Tablets/Stream-7-Booting-from-USB/td-p/4930389 The Stream tablet has a 32-bit UEFI with no legacy support mode so the boot program must support that. Most Linux distros for instance (even 32-bit) only support 64-bit UEFI's and require tweaking to boot on the Stream so that might be your problem with Acronis True Image. Also disable Secure Boot if you haven't already. After I disable the secure boot, it comes a bitlocker screen. The 2nd time I reboot HP stream, I was asked to enter the secure code (this has to be retrieved from my microsoft account). See Secure boot on how to turn off Bitlocker. UEFI uses C-language. Legacy systems use assembler. What Is UEFI, and How Is It Different from BIOS? The traditional BIOS still has serious limitations. It can only boot from drives of 2.1 TB or less. UEFI uses the GPT partitioning scheme instead of MBR. The BIOS must run in 16-bit processor mode, and only has 1 MB of space to execute in. UEFI is packed with other features. It supports Secure Boot, which means the operating system can be checked for validity to ensure no malware has tampered with the boot process. Many computers with UEFI firmware will allow you to enable a legacy BIOS compatibility mode. In this mode, the UEFI firmware functions as a standard BIOS instead of UEFI firmware. This can help improve compatibility with older operating systems that weren’t designed with UEFI in mind — Windows 7, for example. Secure Boot is a feature enabled by UEFI – which replaces the traditional PC BIOS – but Microsoft mandates specific implementations for x86 (Intel) and ARM PCs. Any computer with a Windows 8 logo sticker has Secure Boot enabled. (From HP support website), Secure Boot Configuration is a new feature of the Unified Extensible Firmware Interface (UEFI) in BIOS 8 that helps a computer resist attacks and infection from malware. When your computer was manufactured, UEFI created a list of keys that identify trusted hardware, firmware, and operating system loader code. It also created a list of keys to identify known malware. If I disable the secure boot and exter/exit the UEFI (not sure it is related to secure boot or entering/exiting UEFI), the BitLocker will ask me to enter the recovery key (48 digits). Very annoying! The bitlocker is related to device encryption. To turn it off, go to PC settings > PC and devices > PC info > Device encryption. Click 'Turn Off'. Google: turn off bitlocker. How to access a BitLocker-encrypted drive in Linux? Microsoft quietly woke up update KB 3035583 from hibernation, and thus began a massive effort to get millions of Windows 7 and 8 users to ditch their existing operating system for a free copy of Windows 10. All they have to do is reserve their Windows 10 upgrade within the first year of the OS’s availability, something they can do from the comforts of their desktop via the Get Windows 10 upgrade prompt. How long can I use Windows 10 without activation? Express settings vs Customize settings when you install Windows 10. Disable Windows (auto) update: use metered connection. To set a Wi-Fi network connection as metered: Select Start > Settings > Network & Internet. Select Wi-Fi > Advanced options > Set as metered connection. For this and other methods, see this post from intowindows.com and howtogeek.com. Local disk space 1. 332GB free of 359GB (pro N) 2. 49.7GB free of 57.6GB (home) 3. 53GB free of 74.4GB. How can Windows 10 Function With as Little as 32 GB of Disk Space? From my observation on Windows 10 and Windows 8.1 tablets, the system takes about 12GB space. So my 32GB tablet has 14.6GB free out of 23.5GB for example. You MUST be running Windows Build 14316 or higher (e.g. Anniversary Update). Windows Command Line Tools For Developers - Windows Console, Bash on Windows, Ubuntu on Windows, WSL, Linux. The iso file name is <Win10_1607_English_x64.iso> (4.1GB) as of 1/4/2017. Note that the iso file is different from what I downloaded last time (Nov 2016) which is only 3.4GB. To copy a text: use mouse's left button to select lines and hit the 'Enter' key. To paste the clipboard to another bash shell, use mouse's right button. Check whether we are in Windows 10's Ubuntu or not: grep Microsoft /proc/version. See neofetch. To change the directory color (default LS_COLORS di value 01;34 as normal Ubuntu OS). See How do I change the color for directories with ls in the console? How to get the Windows 10 Anniversary Update (version 1607); it does not work in my case. Download the Media Creation Tools from Microsoft method works in my case. How to Install and Use the Linux Bash Shell on Windows 10 Note the title bar color is white (not blue) in my cases. How to Run Graphical Linux Desktop Applications from Windows 10’s Bash Shell. And What is DISPLAY=:0? Download and install Xming X Server: <Xming-6-9-0-31-setup.exe> (2MB) and <Xming-fonts-7-7-0-10-setup.exe> (32MB). Use XcXsrv instead of Xming to avoid an error. If we have installed Unity Ubuntu, we can start it by typing compiz. If we have installed xfce4 Ubuntu, we start it by typing xfce4-session or startxfce4. Note that unity does not respond to keyboard and mouse but xfce4 has a good response. Use Alt+Tab to switch between Ubuntu desktop and Bash Shell. To exit Xfce4 just log out. Windows file system is available in /mnt/ directory. For example, the C: drive is in /mnt/c. Ubuntu file system in Windows: C:\Users\Username\AppData\Local\Lxss\rootfs. See this post. Ubuntu file system is available in Windows user account's Application Data folder (hidden). How to Update the Windows Bash Shell to Ubuntu 16.04 which is available only in Windows 10's Creators Update. While you can go out of your way to forcibly upgrade the Ubuntu shell to 16.04 on Windows 10’s Anniversary Update, it’s not a good idea. The underlying Windows Subsystem for Linux doesn’t fully support Ubuntu 16.04 in the Anniversary Update, so some things just won’t work properly. To quickly launch a program, execute a command, or run a script, you don't need to launch the Bash environment first. You can use bash -c to directly execute a Linux command. Bash will simply run the command and then qit. You can use lxrun command to reinstall the Ubuntu environment and get a fresh Linux slate. Oracle Java cannot be installed directly through PPA method. However, we can download the tarball and extract the files into somewhere. See here. In my testing of running SAMtools, I extract the tarball to /usr/java. Then I modify .bashrc to include 'export PATH=$PATH:/usr/java/jdk1.8.0_112'. After that, BRB-SeqTools works fine. Note that the htop output shows 50% CPU are used for each core. That does not match with what the 'Task Manager' gave (2% used). See this posts. Mounting drives. For example I assign Z: drive for the shared folder. But the Z: drive does not appear under /mnt directory. There is no way to actually launch a Windows program or run a Windows command from within a Bash script or the Bash shell. This won’t work with server software. It’s intended for developers who want to run Linux command-line utilities on Windows. Build 15002 Ctrl-C in a Bash session no longer works. If we do not log into the Microsoft account, the desktop wallpaper will be kept to the default. If we log into the Microsoft account, the desktop wallpaper will be changed but still cannot be modified by users. How To: Spring Cleaning for Your Drives by maximumpc.com. http://www.howtogeek.com/222730/how-to-find-out-why-your-windows-pc-crashed-or-froze/. The article mentions two tools. Use psftp or pscp with a script. PuttyND gives a chrome style with multiple tabs for Putty Suite. See http://wiki.vpslink.com/Automate_Backup_Retrieval_with_WinSCP#Test_WinSCP_Backup_Script for use winscp with Windows scheduler. Go to Configuration > Window > Colours. Select from the list that contains the blue color. Click the 'Modify' button. Go to Configuration > Window > Translation. Choose 'Use font encoding' or 'UTF-8' in "Remote character set". MTPuTTY/Multi-Tabbed Putty Has a problem with cursor. Need to specify the location of the PuTTy program. Note that you can split the screen by docking any of the windows on top of MTPuTTY. Ctrl + mouse wheel does not work! What is the Equivalent of the (Linux) bin Directory in Windows? Personal: account’s PATH environment. For example, create the directory in your own profile (%USERPROFILE%\bin) and add it to your account’s PATH environment variable. In R, by using strsplit() and shell() functions we can quickly get the information of the PATH environment variable. On my computer, I need to open a Windows prompt with admin privilege and then type 'sysdm.cpl' in order to change the PATH variable. Difference of "P" and "U" when running an update on WinCVS. It means "Patched", which in effect is exactly the same as "Updated". The only difference is that the server did not send the complete file but only a diff (aka patch). Go to Settings->Preferences -> Print. Check 'Print line number' and check 'Black on white' instead of no background color. Line wrap works too. About 62 lines per page in my case. Cannot change font size though. Other editors like Sublime and Atom do not even have the print function. But sometimes it shows a message 'Before you can print, you need to select a printer. If you need to install a printer, either double-click the Add Printer icon or click the Find Printer... button located on the General tab of this dialog. ':(( In this case, I just need to re-start notepad++. How to increase font size? Just hold Ctrl and use scroll wheel. See here. It even save the status when you restart Notepad++. Setting > Style Configurator > Select theme dropdown list > Zenburn. If we download other themes from internet, those themes do not have a support for R languages so the syntax highlight will be lost. And for convenience, we can change the default language to R in Notepad++'s Settings.
? > Set Updater Proxy. See above for the printing problem on my Win 7. Check the option of print line numbers. Uncheck the option of syntax highlight. Adjust font size used in printing. On Windows 10, the print function does not work well though the print preview looks good. Line printing works. But some characters are lost in long lines. No way to print line numbers. When printing line numbers, it cannot support line wrapping. So a long line becomes several lines (line numbers). For something we cannot find a good Windows version of program; for example, cvs client. See my notes in Linux page. Use desktop client like minitube which can eliminate the ads and allows downloading videos. MindMup (web based). It can export to Freemind .nm format. No registration is required. Inbox/Message List pane: See microsoft.com on how to change the font size of the message list. Mail -> VIew -> Current View -> View Settings. Click 'Other Settings' -> Row Font or 'Conditional Formatting' -> one rule. Calendar pane: See microsoft.com on how to keep the Calendar in Mail pane. Mouse over (not click) on Calendar located on bottom-left. Click the Pin button to dock it to the right edge of the Outlook window. File -> Options -> General. Select the drop-down list from the 'Color scheme'. Go to View > Conversion. On the web version, there is no menu bar. The same option is at Filter > Show as. We can also uncheck the option of 'Show Focused Inbox' from Filter. Use ctrl + mouse scroll wheel. This will affect the current email message. Or use the Magnification bar at the right-bottom corner (on the status bar). There is no way to lock the zoom level for all messages. See this post. The con is the messages have to be converted to plain text (images in the email will not be shown). Under 'Read as Plain Text', check the box next to 'Read all standard mail in plain text' > click OK once to return to Outlook Options. Click Mail (category) > Stationary and Fonts... (button). Under 'Composing and reading plain text messages', click Font... (button). Adjust the font size/settings as desired (how to you want to see new messages?) and click OK when done, then OK to exit the Signatures and Stationary window, and OK again to exit Outlook Options. Note - You will have to click off of whatever email you had selected while changing the settings, then click back on it to see the changes you've made. Click Calendar first and you will see these two options. New appointment will be saved under my own calendar. New Meeting Request will let you to specify To, When, Where, and Subject. mac OS - not implemented. This problem occurs when the file that you’re trying to open has uppercase letters “I” and “D” as the first two characters. To fix it, either update ID to lower case “Id”, or you can add an apostrophe at the beginning of the first line of text. Excel Options -> Advanced -> uncheck 'Enable AutoComplete for cell values'. Switch to the tab for Sheet and spot the section for Print titles. It hosts a row and a column option. In the 'Rows to repeat at top', enter '$1:$1'. =if(exact(E2, "M"), 1, 0)  # Compare E2 cell and "M" string value, return 1 if TRUE. Windows: File > Options > Formulas > untick checkbox Enable background error checking. Free for devices less than 10.1 inch screen on Windows 10. The executables (EXCEL, WORD, ...) are located at C:\Program Files\Microsoft Office\root\Office16. On Windows 10, I did not see Excel (Under 'E' or under 'M') at Startup menu. Under 'Microsoft Office 2016 Tools' in the start menu, I see Database Compare 2016, Office 2016 Language Pref..., Office 2016 Upload Center, Skype for Business Record..., Spreadsheet Compare 2016, Telemetry Dashboard for Office, Telemetry Log for Office 2016. I did see Word 2016, Publisher 2016, OneNote 2016, Outlook 2016 in the startup menu. 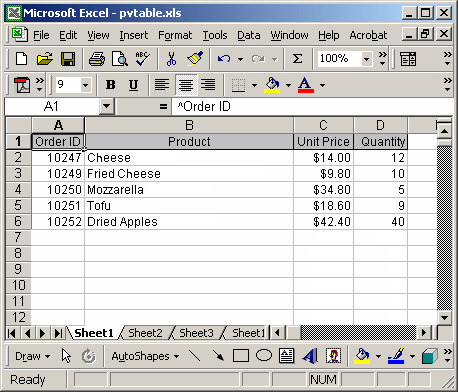 Anyway, I can type excel.exe in the search box to launch Excel 2016. Office 365 is a subscription plan to current and future versions of Microsoft Office that offers other productivity services enabled over the internet (Cloud services) including Exchange Online - hosted email for business, and additional online storage with OneDrive for Business. 2016. The quick access toolbar and menu have a green color as the background. The current selected menu item has white background color so its color is consistent with the Ribbon and the worksheets. 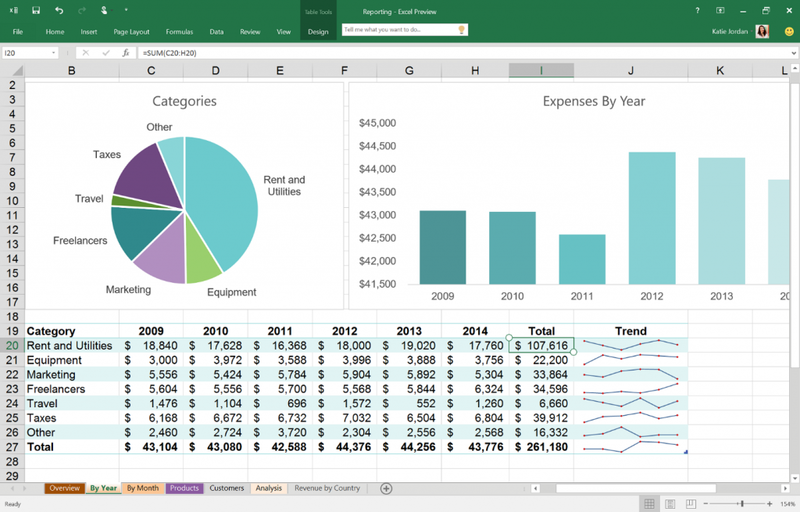 The top-left has an 'X' icon as Office 2013. 2013. The quick access toolbar and menu have a white color as the background. The current selected menu item has green background color. 2007. The background color of quick access toolbar, menu and Ribbon is blue by default. There is a big circle Windows icon on the left-most quick access toolbar. 2003 No Ribbon. 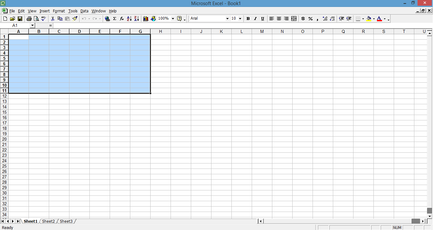 No quick access toolbar and the location is used to show 'Microsoft Excel' and the file name. 2002/XP or this one. It looks the same as 2000. On the ribbon go to "Page Layout" and then "Page Color" - select black. Note that though I can create flowcharts in Word or PowerPoint, I can not export the flowchart to a png file from Word or PowerPoint on my Mac. So I end up using LightShot to take a screenshot. But Word highlights words with mis-spelling:( The fix that, click 'Review' > Spelling and Grammar. Click 'Ignore' for every words it finds. It has an online and offline (open source) versions. For offline uses, it has a docker version too. The default file extension is an XML. We can export the graph to PNG, SVG among others formats. It includes several templates to use. To create a text within an object, just double click it. To create a text outside objects, double click somewhere and start to enter the text. After that, just move the text to the location we want. It supports layers. Click View > Layers. The Layers panel/menu will be shown up. The default one is a 'Background'. If we add a new layer, the new layer will be shown on top of the 'Background' in Layers panel. It also uses light blue color to highlight the currently working layer. Small triangle next to each layer in the Layers menu allows users to move a layer to 'Back' or 'Front' relative to its neighbor layer. Of course, the top layer cannot go 'Front' and the bottom layer (eg Background) cannot go 'Back'. Use the checkbox to hide/show layers. Even in the same layer, we can move an object to back or front. There are different categories of shapes to use. The default one is 'General'. https://youtu.be/XKRcTw2ATek The screen has to be extended instead of duplicated. LibreOffice Impress also support presenter screen. Presenter can use the keyboard shortcut Ctrl+2 to view notes on RHS of your own screen and Ctrl+3 to get an overview of all slides and Ctrl+1 to switch back to the normal view (just see the next slide in PC's screen). Presenter View in Google Slides. Just click in the text box beneath the main slide area to type your notes, or go to Tools > Voice type speaker notes, click the mic button and start dictating. Your notes will be viewable by only when you select “presenter view” from the Present drop-down menu. When we find an article in PubMed, we can choose "Send to" and select "Citation manager" and then click the "Create File" button to download the reference. After the citation file is downloaded (*.nbib, an ASCII format), we can double click it to open the file in EndNote. The reference will be inserted into our library file (e.g. ~/Documents/My EndNote Library.enl). We can delete the *.nbib file now. Now in Word click "EndNote X8" on the menu. It will bring up a Ribbon at the top. Before we click "Insert Citation" button, change the Style from its default 'Annotated' to say "APA 6th". The default 'Annotated' style will insert the abstract in the reference area. After clicking "Insert Citation", we can enter a keyword and if the match is found, we can insert it to our Word document. We can also use "Edit and manage citations" to remove citations. Pick a light weight linux distribution. Got a permission error when the target is a network drive. Got an error: connection unexpectedly closed. For some reason, it does not find the missing files so it does not copy files from source to target. Another bad thing is there is no way to uninstall it. For some reason, I cannot download it successfully. If I manually copy it from a linux machine to windows, it just get deleted. Probably there is a security reason. I download Windows binary version. However, it does not work. It depends on GTK but it still complain it cannot find libgtk-win32-2-0.0.dll even I downloaded/installed/change PATH variable. uncheck the box "Close all not locked tabs when the program ends." check the box "Keep current tabs if open layout"
http://www.forum.freecommander.com/viewtopic.php?f=6&t=5142. Settings > Archiver plugins. Unfortunately I did not find a source to download the plugin. Especially the RBTray program works well. When it was launched, we can use 'right click' on any program's minimize button to minimize it to the tray. To exit the program, just right click on any tray icon created by RBTray and click Exit RBTray in the popup menu. Or run RBTray.exe with the --exit parameter. Evernote Skitch, Snipit, SnagIt (commercial), hotshot GNU written in C++ & Qt, Jing, Picpick (commercial), Paint.Net, szoter online annotation, IrfanView, Open office, Shutter for linux. Printing will truncate the top and bottom. So when we want to print, switch to Window's Paint program. Backups vs. Redundancy: What’s the Difference? This howtogeek.com guide tells how to record you screen on different platforms (windows/mac/linux/android/ios). List of tools shown on the left hand side. Select the arrow key when we want to change an object property (eg enlarge). The straight line tool is located two above the Text tool. When we draw a line, we can use ENTER key to stop continuation. When we want to enlarge an object, we want to hold the CTRL key so the size will be changed proportionally. Keyboard shortcut. For example, Ctrl+d to duplicate selection. https://developer.microsoft.com/en-us/microsoft-edge/tools/vms/. These virtual machines expire after 90 days. Recommend setting a snapshot when you first install the virtual machine which you can roll back to later. The password to your VM is "Passw0rd!" The guest machine seems to be working out of box. Desktop zoom in and copy/paste work. Specs: 4GB memory, 40GB virtual storage. Total Recorder. The standard version ($18) already allows to record by schedule. The Professional version (+$18) allows to capture streaming audio directly without opening another application. I got a message Another program is preventing Windows Essentials from installing when I was installing Windows Essentials 2012 on Windows 7 Enterprise w/ Service Pack 1. Camstudio works in Virtualbox guest machine too while Screencasting 101 gives me an error. Also the Virtualbox's built-in video capture function does not create videos correctly (I only got a blank/green screen and the video's length is wrong). Make sure to install Camstudio lossless codec too. Options -> Video. Camstudio lossless Codec v1.5. Options -> Cursor. Highlight cursor. Toolbar icon -> 6th one is to toggle flv, avi, mp4. Avi is good. How to blue a region. 30 days trial is free to download. It is possible to blue a region with Camtasia. Check out this page or some videos like this. Got blue screens when I import video files (tested on Windows 7 VM, PD v12). Audio fade out does not work. Alternatively we can use Audicity to fix this problem. Export video is very slow (at least on the Free version). 1 minute video takes 1 minute to export. So it does not make sense if we just want to make a small adjustment. Complete Guide to Symbolic Links (symlinks) on Windows or Linux where Link Shell Extension was used. Documents\TurboTax with a file ext name like .tax2014. Documents\HRBlock with a file ext name like .T14. MBR vs. GPT: Which One Is Best for Your SSD? It is know Fat32 has a file size limit of 4GB. That means it is impossible to use Fat32 partition to transfer a >4GB virtual machine file (ova) to a fat32 USB drive. The ntfs partition created by Gparted program may not be recognized by Windows OS. So if a drive has been used/partitioned in Linux machines, it is recommended to keep using Gparted to partition the drive to FAT32 first and then bring the drive to Windows OS for ntfs conversion/re-partition. To convert a fat32 partition to NTFS, run the following in the command line prompt (or type help convert to get help). Use HP USB Disk storage format tool (96KB) <HPUSBDisk.exe>. The USB drive still needs to be assigned to a drive letter first. It provides trustworthy temperature readings. See a comparison here and Wikipedia. Right click the printer icon -> Printer properties (not Properties) -> Ports. Widen the first column (Port). The IP address is shown there. The old printer is not shown as an option from Brother. I need to click the 'Windows Update' button to update all lists. Has an advantage about the size than the internal drive. For example, my Dell Precision 3500 can support up to 2TB. See the internal link Linux -> GParted. HWMonitor (freeware) from CPUID. Need to be run as admin; otherwise it only shows brief info about CPU. It does show temperature from cpu, memory, internal hdd and graphical card. Does not include External hdd. SpeedFan (freeware) from Almico.com. This required an installation. It will be installed under C:\Program Files (x86)\SpeedFan. This can detect my ext 4TB hdd (WD4003FZEX). It shows the temperature 40C for this ext hdd (under the Readings tab or more details under the S.M.A.R.T. tab). My other 2 int hdd temperature is 34C and 40C currently. Crystal Disk Info (freeware). Support USB connection and RAID. This looks very good too and it only focuses on HDD/SSD. It has both installer & portable versions. Explanation of the interface. The source code is on afterdawn.com. Give Your Hard Drive a Check-Up from maximumpc.com. The best and fastest USB3 Flash Drives of 2016, comparison, benchmark. smartmontools. Windows can run it through cygwin. Fast, lightweight, advanced system information tool for your PC. It also displays the temperature from CPU, MOBO, fan speed, et al. WebEx Below is a screenshot when the camera is off and microphone is muted. GoToWebinar which supports Linux for video part. Go to http://support.logitech.com/en_us/product/wireless-mouse-m510 and download 64-bit full installer (not smart installer) of SetPoint. SetPoint software can be used to re-program forward and backward buttons on the mouse. For example, I can set the forward as 'j' and backward as 'k' for feedly.com website. http://www.amazon.com/gp/feature.html/?docId=1000811661#gc or https://www.amazon.com/norushcredits which gives expiration dates on credits. Note that the credit has a short expire date. So go to the email and search "Your Amazon.com Promotional Credit". Good luck keeping track of them. Similar to Conky in Linux. It uses Alt+Space to launch anything. Note that it has Linux (binary and source) and Mac versions too. I downloaded the portable version (without the installer) from More Downloads >> link. Note that xampp has to be extracted to the top level directory such as C:\. When I start the Apache server, Windows' firewall will pop up. Since I am not the system admin, I can only click the 'Cancel' button. The virtual machine can use the host's IP to get an access to the Apache web site. But the other computer cannot. How to Run Any Program as a Background Service in Windows from howtogeek.com. Plex is used as an example. See also Which Windows Account is Used by the System When No One is Logged In? Go to account settings -> Sign in and security -> Connected apps and sites.